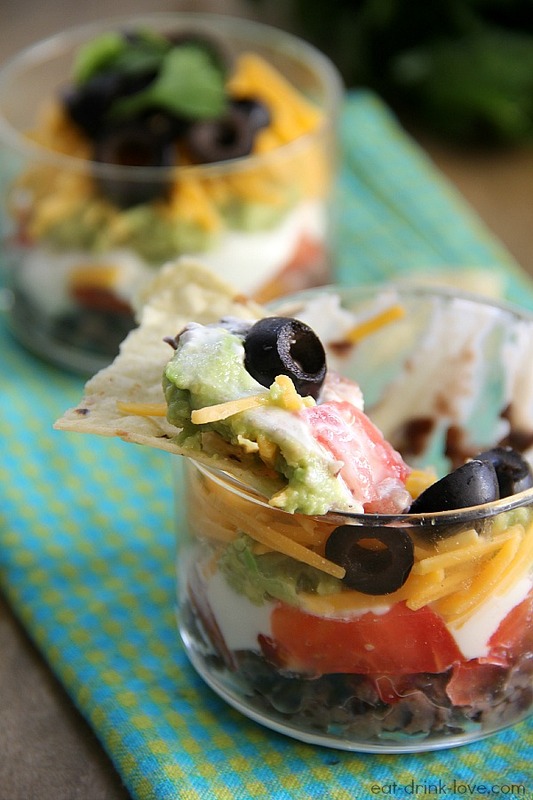 Skinny Taco Dip Cups - Eat. Drink. Love. The Super Bowl is upon us and while I don’t usually care about the game or the commercials, I do care about the food! I think I speak for most food bloggers when I say that the Super Bowl is all about the food! Typical Super Bowl food usually involves lots of cheese, dips, burgers, fried foods, etc. You know, the really delicious stuff. But, who says all the delicious stuff can’t also be healthy? Not this girl. Your regular taco dip is typically comprised of refried beans, cream cheese plus cheddar cheese, sour cream, etc. 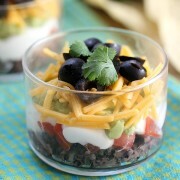 My version swaps refried beans with black beans, less cheese, and in place of sour cream, Greek yogurt. 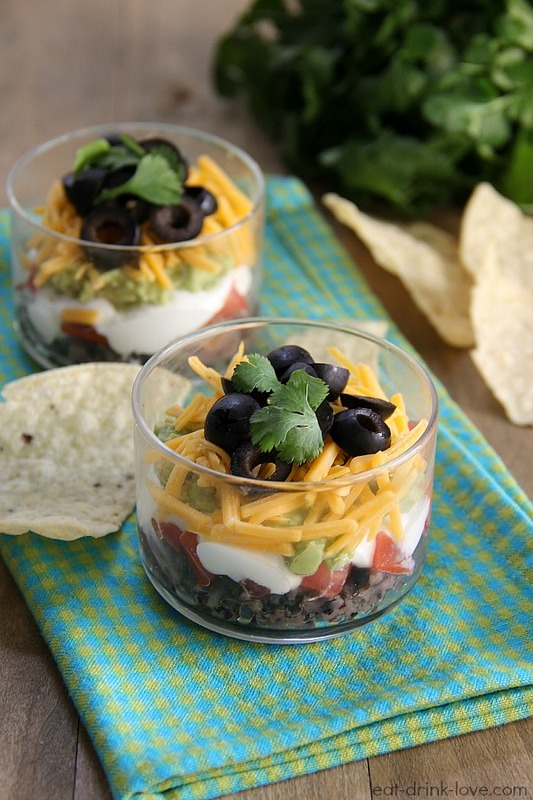 With the Greek yogurt and black beans, this dip is also a great source of protein. And don’t think that these swaps makes this dip any less delicious! I had no issues pretty much inhaling this stuff for lunch. 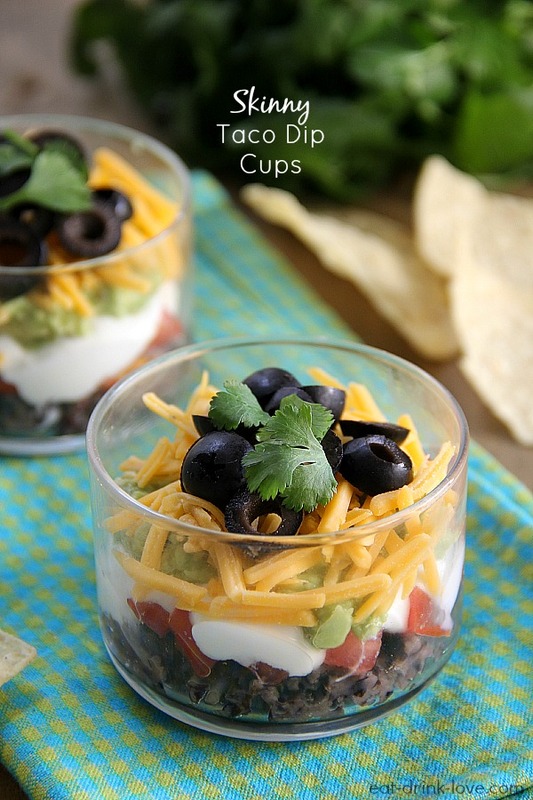 These taco dip cups are fresh, delicious, low in fat, and individually portioned! Food is always more adorable when it is in individual servings, don’t you agree?! I served mine in my favorite little serving bowls from Pier 1, but you could also use those small plastic cups to serve the dip in individual portions. And if you’d rather, you can also certainly make it all in one baking dish! Either way, this is a dip you don’t have to feel guilty about eating! 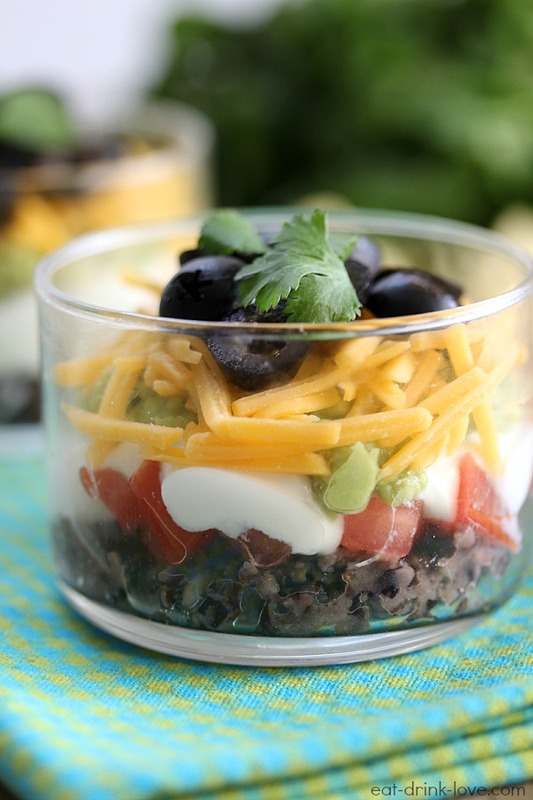 To make the black bean layer, add the beans to a bowl. Use a fork to roughly mash the black beans. Stir in the garlic powder and the salt. Spoon and divide the mixture on the bottom of a cup or small serving bowl. Divide the diced tomatoes amongst the four cups and add on top of the beans. 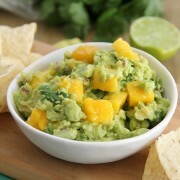 To make the avocado layer, mix together the smashed avocado, garlic and onion powders, the salt, and the lime juice. Divide and spoon the mixture into each up, gently spreading over the tomato layer. Spoon some Greek yogurt over the avocado layer. 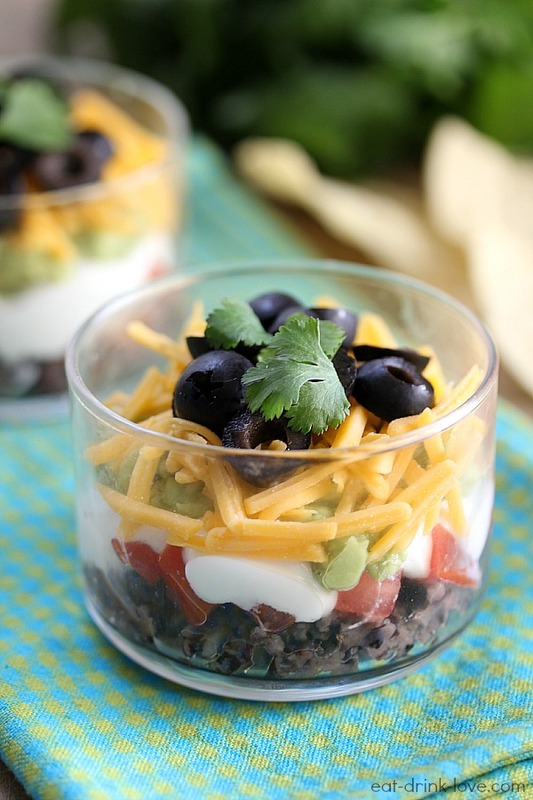 Top each cup with a sprinkle of cheddar cheese, black olives, and cilantro for garnish. I love the individual cup idea! 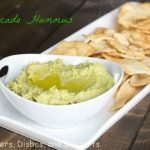 I love individual servings, no need to worry about someone else taking the last bite :) These are great – I love healthier options to dip my tortilla chips in! We both have skinny taco dip on our minds! Love these individual cups! 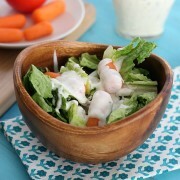 I’m hungry after seeing these pics! So cute! Dude, you’re killing me. These are gorgeous. OH MY GOD these are the cutest!!! The Super Bowl is all about food for me. This year we aren’t having a party but I am still going all out with the food. These are so great! I made similar ones for friend’s engagement party and they were a huge hit!